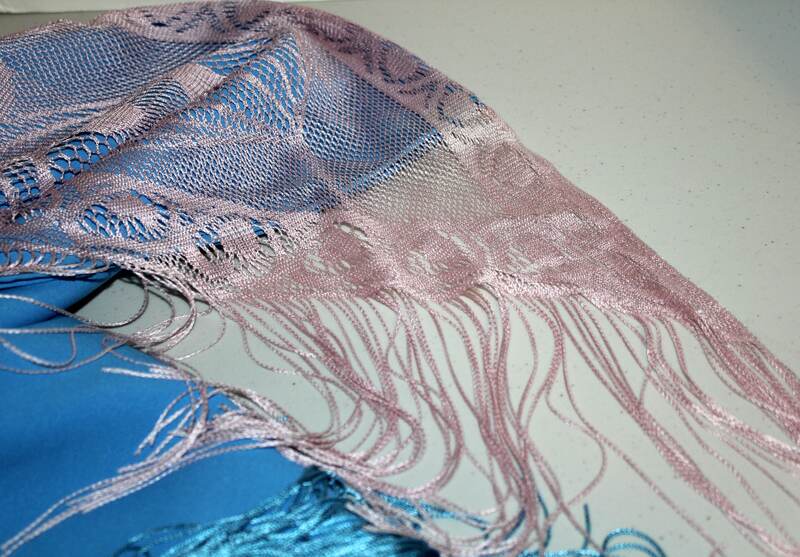 This is a beautiful vintage shawl or wrap featuring a light pink to rose colored lace overlay and fringe detail. 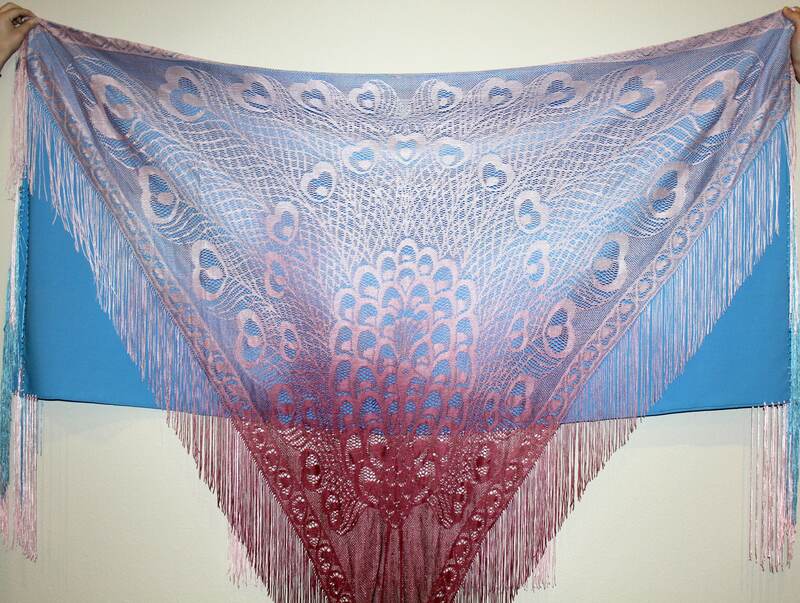 The lace pattern resembles a peacock. 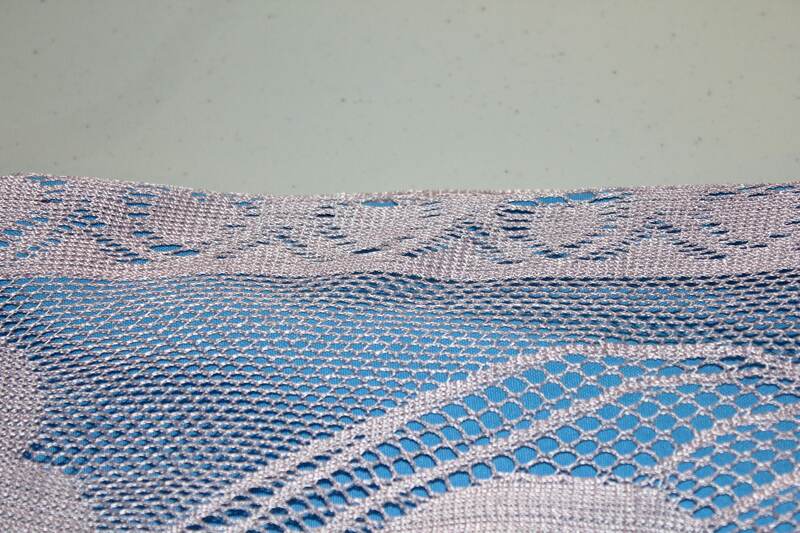 The blue nylon fabric is two pieces attached at the top lace edge. 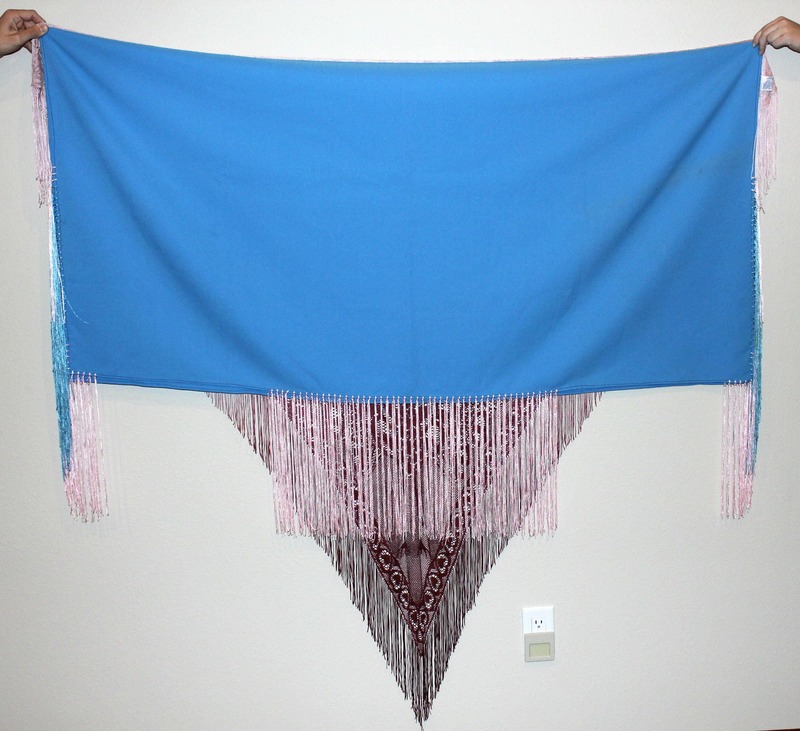 The large V piece of lace extends down the front, while the back blue piece has pink fringe along the bottom. 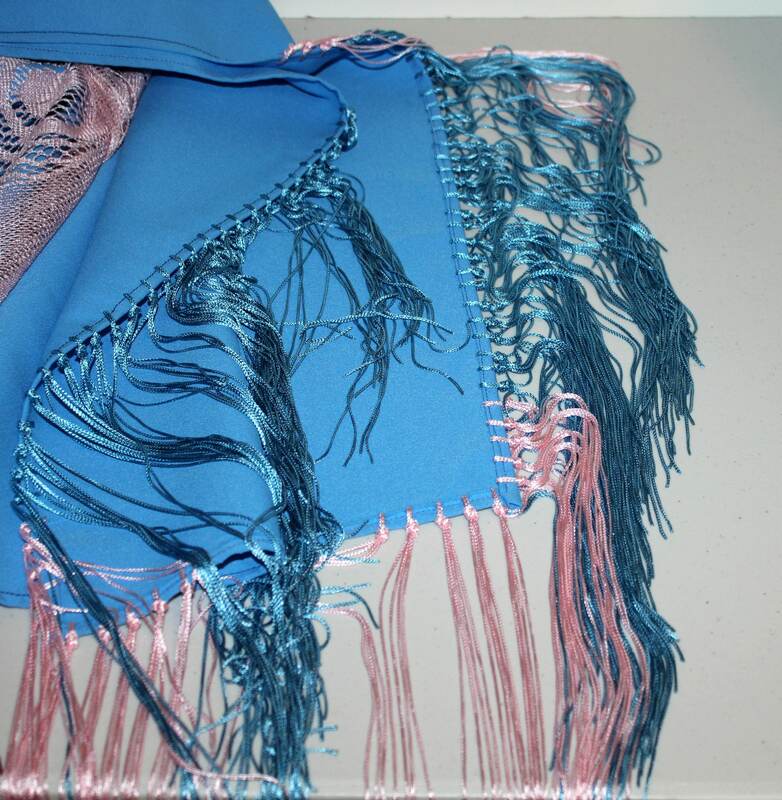 Both sides also have fringe attached as shown in the second to last photo. 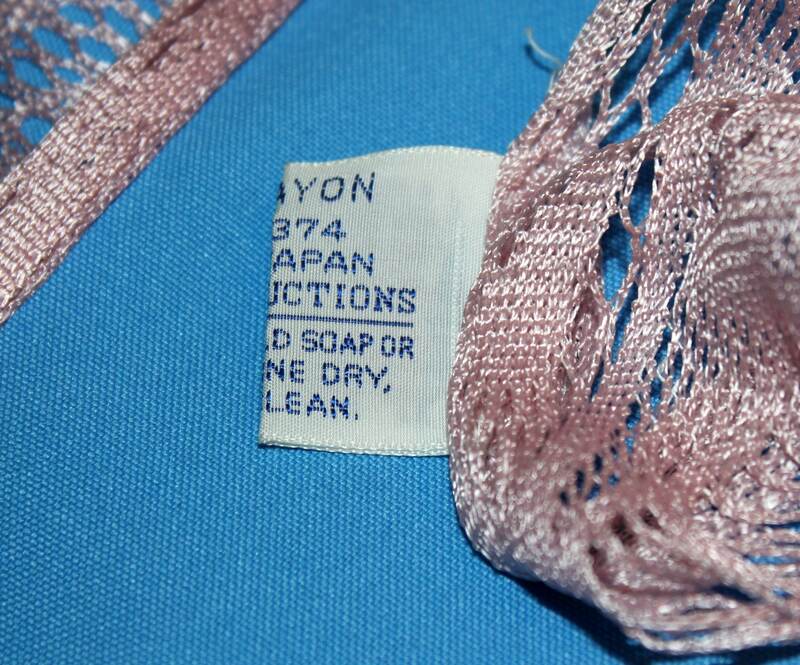 The top edge pink lace extends further out than the blue as shown in the last photo. 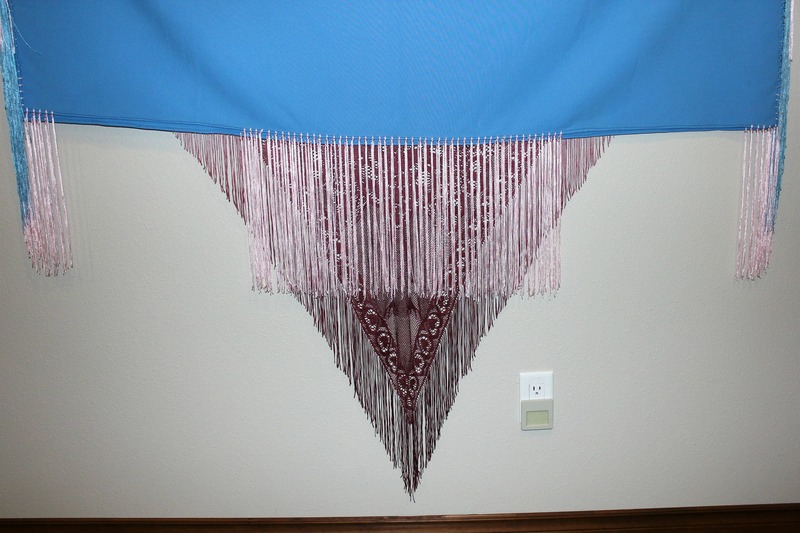 This may be Native American and used in ceremonial dances. 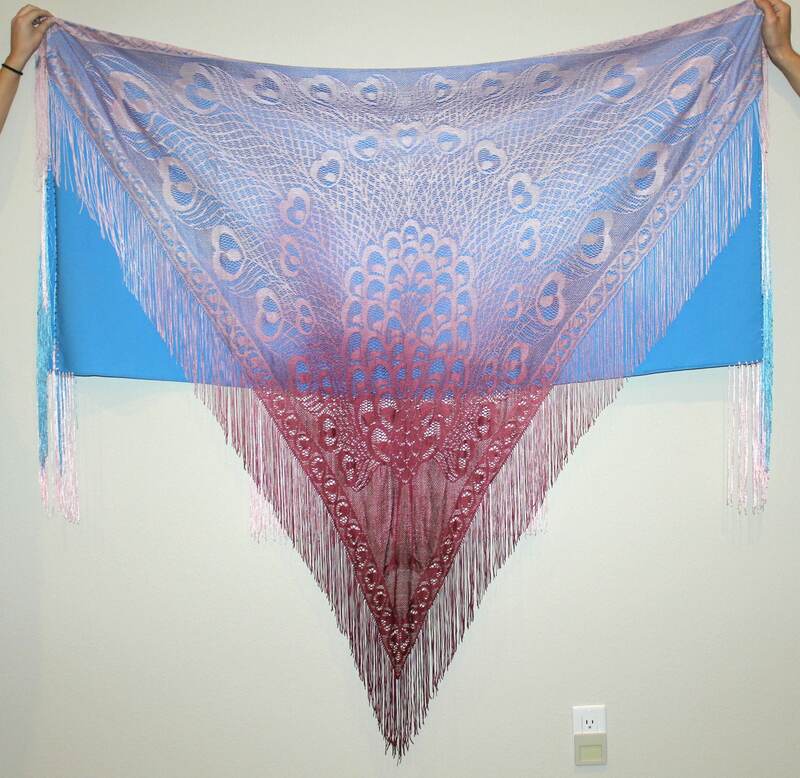 The shawl is in excellent shape, no flaws to note. 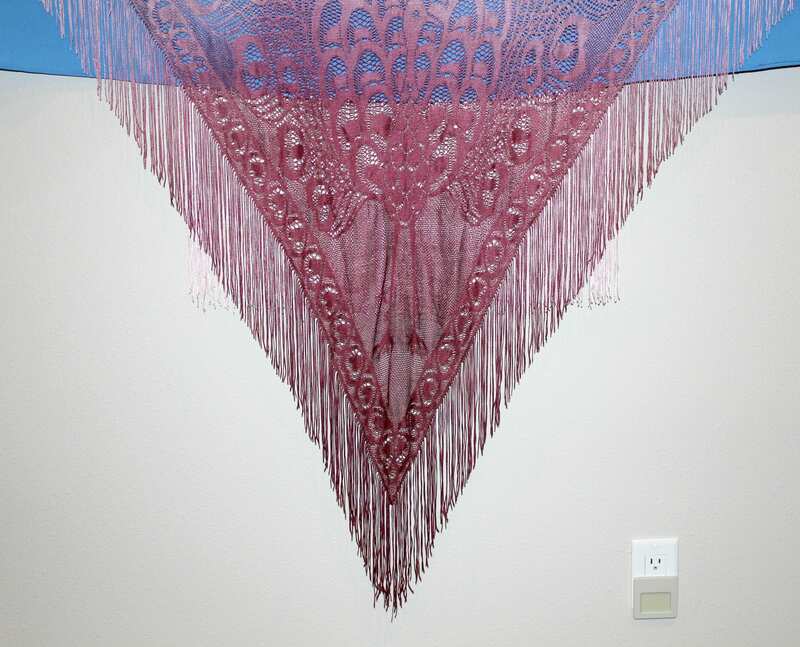 It measures about 61" across the top of the blue nylon fabric and is 62" long to the bottom point of the lace. The blue extends down 30". 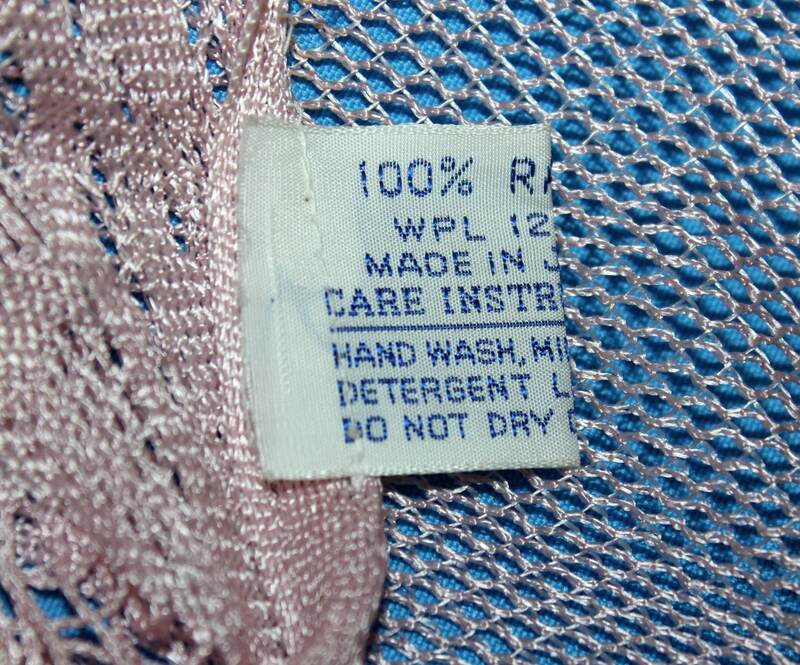 There is a label attached which reads: 100% Rayon WPL 12374, Made in Japan, then cleaning instructions.